"Employment Relations" is widely taught in business schools around the world. Increasingly however more emphasis is being placed on the comparative and international dimensions of the relations between employers and workers. 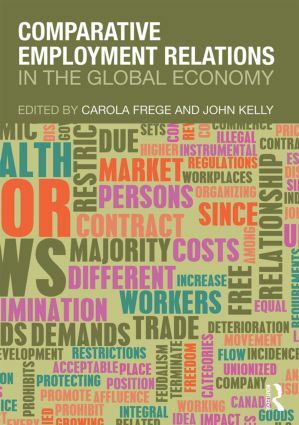 It is becoming ever more important to comprehend today’s work and employment issues alongside a knowledge of the dynamics between global financial and product markets, global production chains, national and international employment actors and institutions and the ways in which these relationships play out in different national contexts.